Earlier this week I hosted a roundtable discussion at the Intelligent Community Forum with CIOs to discuss the evolution of smart cities, which was a great opportunity to connect with some really amazing people. As I prepared my opening remarks, however, I couldn’t help thinking of a time when I failed to connect with an amazing person in my personal life. For many years I lived in an area of Toronto known as the Annex, and though I didn’t realize it when I moved in, my house was just a few doors down from the late, great Jane Jacobs, an urban theorist who is probably best known for The Death and Life of Great American Cities. We passed each other on the street a number of times, but I never worked up the courage to tell her what her work meant to me. Instead, used the ICF roundtable to explain what her words might mean for CIOs. 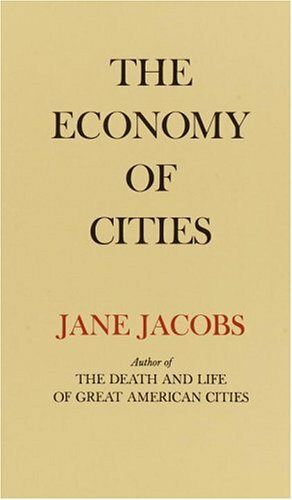 In The Economy of Cities, Jacobs tried to understand why cities became such a successful form of community living. After all, just putting people together in more dense environments doesn’t explain everything. Jacobs concluded that the core growth engine for cities is when new work is added onto older work. She offered what she described as a great example of innovation to explain this phenomenon. No, not a smartphone, an app or a smart parking meter: the invention of the brassiere. Many years ago, a woman named Ida Rosenthal was making dresses but didn’t like the way they fit on her clients, so, as Jacob recounts, she began making some underclothing — a bra — which was given out for free along with the final product. Over time she realized the market opportunity and set up a manufacturing operation which more or less turned the bra into a industry. The new work of making bras was added to the old work of making dresses. I think this story is well worth keeping in mind as CIOs start or continue their journey towards the creation “smart cities” (a term I suspect Jacobs would have found dubious to say the least). When sensors become a part of everyday service delivery, or cities turn legacy information assets into open data, what is the new work being added to the old work? In some cases, I think it may be the work of data scientists, or even those less specialized who use intelligent community projects to, for lack of a better term, predict the future of what citizens will need and want. Maybe open data will offer new work in developing tools that support next-generation interactions between governments and those they govern. 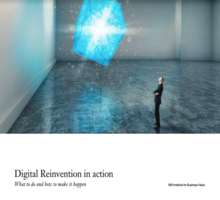 The role of CIOs here may not be to create the new work necessarily. More likely their contribution is largely about helping create the conditions where the new work can manifest itself. That will be more than enough to keep most IT leaders busy for the foreseeable future: most of those around the table admitted they were still very much at the beginnings of thinking about smart city projects, even though they face intense pressure to meet organizational needs and rethink the role of a municipal IT department. Much like their colleagues in the private sector, the CIOs behind smart cities realize they need to measure new things while continuing to look at more established metrics. The latter would include areas like how smart city projects can reduce costs, or make city services more productive and efficient. Newer things to measure might be: how does the evolution of a smart city ensure the best talent doesn’t leave the municipality for places like Toronto? How can smart cities boost “time to market” for city services that typically may have taken a long time to deploy? My favourite came from a city CIO who suggested one way to establish whether a smart city project is working is how many stakeholders throughout a municipality are talking and buzzing about it. Right now I get a lot of PR pitches about smart cities, and in some cases it boils down to a municipality expanding Wi-Fi to a new area, while others involve ambitious projects to automate and analyze a range of services. Much like big data, cloud computing and other technology jargon, the term “smart city” remains ill-defined. It does, however, dovetail well with an area that a lot of IT leaders seem to care about. As a recent post on smart cities pointed out, smart cities need smart people, which really means innovative people. And a recent report suggested some of the five top qualities of innovative individuals include associative thinking, a collaborative approach, good communication skills, special knowledge and persistence to overcome obstacles. That sounds a lot like the most successful CIOs I know, and while their jobs may often seem tenuous, I suspect there will always be a place for them in the smart cities that need them.